Thousands of adults in Winnebago and Boone counties could receive the opportunity to earn high school diplomas as a result a new Illinois law that went into effect last week. Governor Bruce Rauner signed bipartisan legislation, sponsored in the Senate by Steve Stadelman, that allows anyone over 21 to earn a diploma rather than a General Educational Development (GED) certificate, which is easier to obtain but less meaningful in the job market. 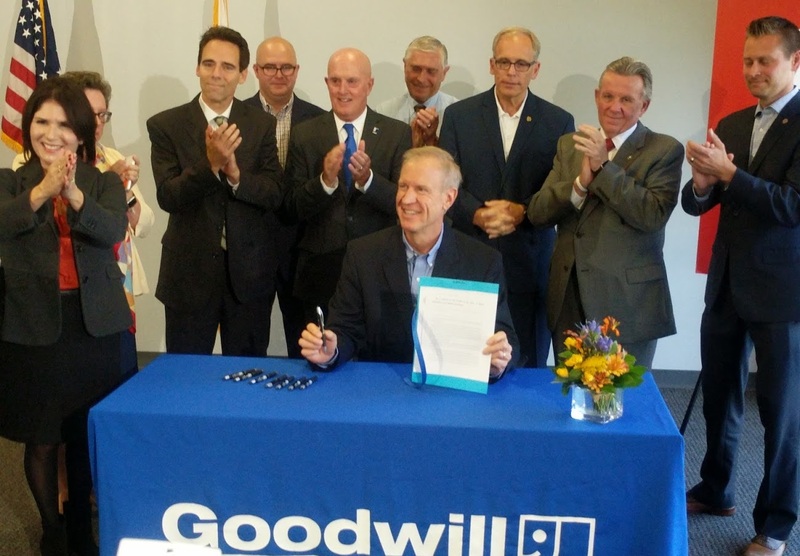 Goodwill Industries, where the bill signing took place Friday, hopes to open a vocational school to award diplomas to adult learners now that Illinois no longer restricts them based on age. "A high school diploma is nearly essential in today's world, but not everyone is able to complete high school in the same amount of time," Stadelman said. "These programs will give people a second chance and help them obtain job skills. Everyone benefits in the end, because a trained workforce is good for economic development in our communities." Community colleges, along with non-profits like Goodwill, can establish diploma programs for adult learners under the new law. Illinois is now the 10th state in the nation to enact automatic voter registration, a good-government and voting-rights initiative supported by State Senator Steve Stadelman. The measure establishes a more modern system by which eligible adults can have their voter registration information updated automatically whenever they interact with certain state agencies. 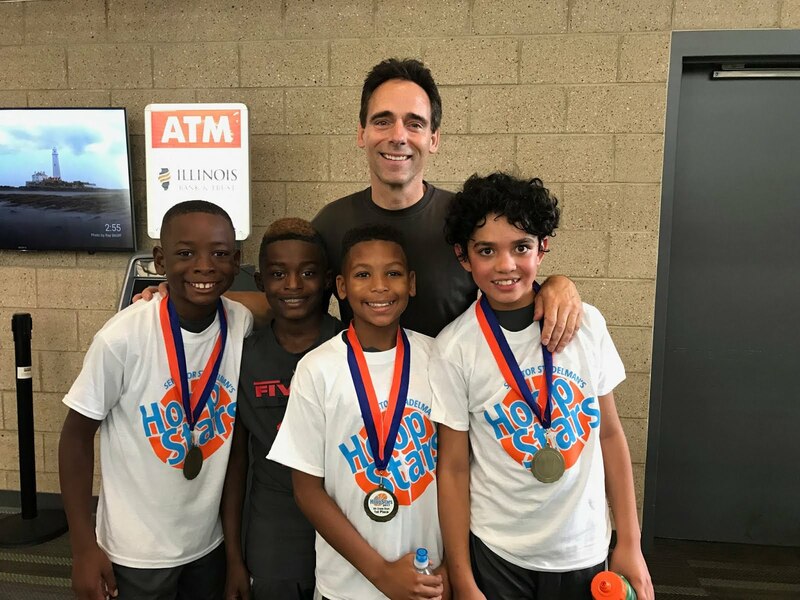 Stadelman said he is proud of Illinois' progressive stand in a time when other states are moving instead to limit people's access to the polls. "We should always strive to make it easier, not more difficult, to exercise our democratic rights, including the right to vote," Stadelman said. "Automatic voter registration also makes fiscal and common sense by improving the accuracy of our voting rolls and saving government millions of dollars once it's fully implemented." 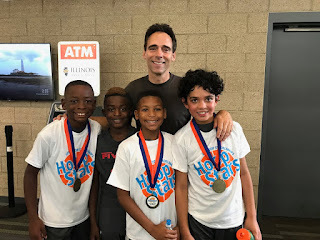 Senator Stadelman's HoopStars provided a positive, end-of-summer activity for a fifth year on Labor Day, drawing 275 young athletes to UW Health Sports Factory to compete in the free 3-on-3 basketball tournament for boys and girls in third through eighth grades. 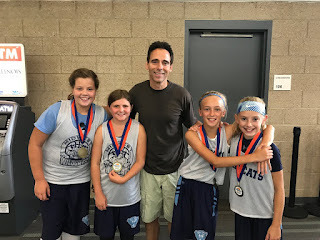 Two of the winning teams are pictured below.